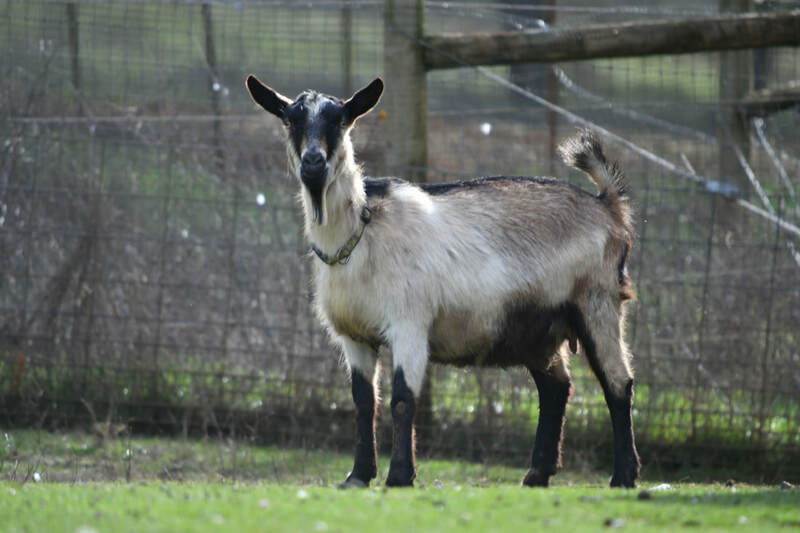 These goats are perfect for the small farm or homestead! Mini Alpine's combine the prolific nature and high butter fat of the Nigerian Dwarf with the generous output of the ever popular Alpine. Renowned for being calm, sweet and loving, Mini Alpines are perfect for beginners, 4H'ers, and homesteads. Our CAE clean, closed herd of ADGA and MDGA registered stock come from tested, appraised, and champion bloodlines. MDGA registration paperwork, CD&T vaccination, de-wormed, tattooed, disbudded, and banded. NOTE: Please indicate which animal you are making a deposit on! Does for sale will have sales information listed in their photo caption. Does for sale are priced as marked. Kids pictured are next to their corresponding Doe; by Buck as indicated. DAM RAISED KIDS: May go home at 8 weeks of age. BOTTLE KIDS: Are Dam started, and, depending on age, may or may not come vaccinated, de-wormed, or tattooed.